Callie June's parents, Tiffany and Albree, say they received a disgusting message of hate toward their little girl whose "life is on the line." When a toddler is in the fight of their life, any bit of positivity can go a long way: It's not what the parents of one child said they received. 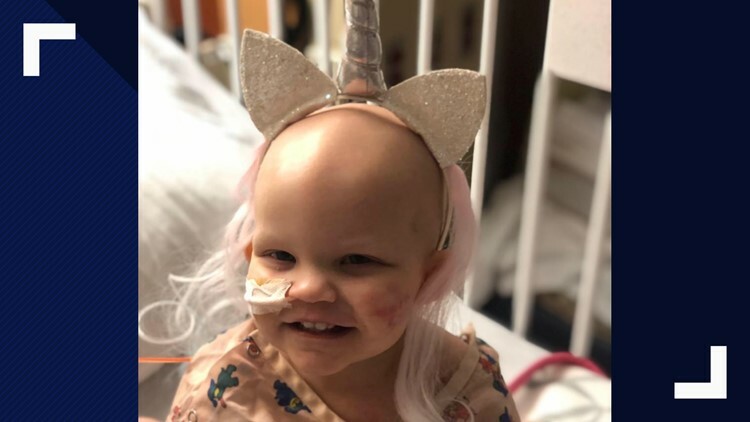 At 18 months old, Callie June is battling advanced neuroblastoma that had metastasized to her lymph nodes and bones, according to the family's GoFundMe page. The stage four cancer fight has been ongoing since the start of the year, with five rounds of chemotherapy. The fundraising page has collected more than $20,000 to help pay for the family's loss of income. As June has received so much support, her parents, Tiffany and Albree Shaffer, say they're so thankful. One message, however, seems to have come from a place of hate. "My prayers for Callie. I was going to donate $7600.00 to her fund but I found out her parents are lesbian. I've chosen to donate to St. Jude due to that fact. Sorry, I'll still pray for her though but maybe it's God's way of getting your attention that she needs a mommy and a daddy, not 2 mommy's." The family posted on Facebook another round of chemo likely will not be necessary following a stem cell transplant, and 98 percent of her tumor is dead. "Please keep Callie and our family in your thoughts and prayers! And thank you for the continued support at such a hard time for us all!" the message reads.